Generations YOUTH is a dynamic ministry for students in 6th-12th grade. Students experience an engaging live band, hear messages that discuss relevant topics, and interact with other students and adults who truly care about their lives. Throughout the year we also have guest bands and speakers, retreats, summer camp, and all sorts of fun events! YOUTH meets every Wednesday night from 7-8:30pm at the Greeley Campus in the Student Center. Use the SW building entrance. We also offer a Middle School Teaching time on Sunday mornings at the 10:45am worship experience. Students will be dismissed at the start of the message (after the music), where they will dive into a relevant message geared just for them. YOUTH meets twice monthly on Sundays from 5:00-6:00pm at the Windsor Campus. Calling all eighth graders and high schoolers! Join us for these special times where we will dive deep into God’s Word and worship. Bring your Bible, a journal, a pen, and a hunger to learn! 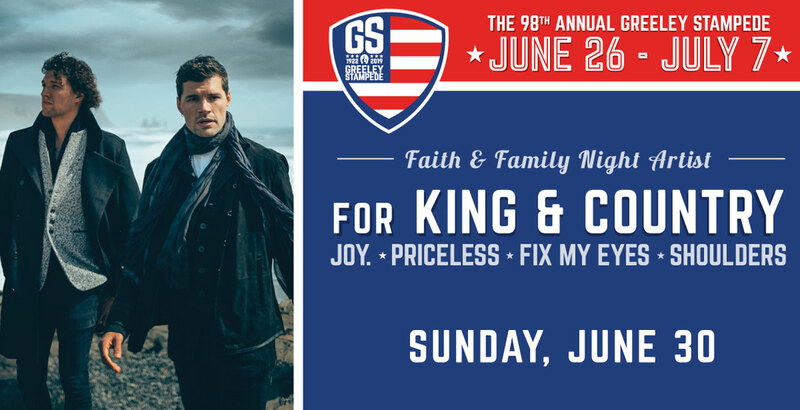 Planning to see For King & Country at the Greeley Stampede this summer? Buy your tickets through this link, and our youth group gets $5 per ticket! Text ‘genyouth‘ to 313131 for updates. If you’d like to learn more about youth, our team would love to talk to you.